The Janam Peace Building Foundation (JPBF) is a Kenyan registered, non-profit organization managed and operated by former Kenyan staff of the USA based National Outdoor Leadership School (NOLS) East Africa branch. Senior staff at JPBF have over twenty years of outdoor education experience and continue the work of NOLS Kenya by providing wilderness experiences, teaching outdoor leadership, environmental consciousness and team work to youth and adults as well as training National Park personnel throughout East Africa. JPBF has a range of dedicated staff and instructors who have decades of experience in providing wilderness and leadership training. They are well-acquainted with the specific demands of the Kenyan terrain and worked tirelessly to enhance the experiences of the students who took part in the Pathways to Peace project. Meet some of our instructors below. 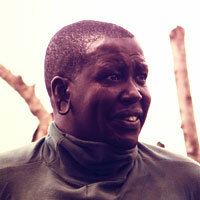 Shikuku Willy Ooko is the founder of the JPBF and its Executive Director. He also works as a field instructor for JPBF and is the former Deputy Director for NOLS East Africa. He is a certified Wilderness Emergency Medicine Technician on the USA Narional Registry (NREMT). He conducts consultancy leadership and wilderness skills training for wilderness rangers for Tanzania National Parks, Kenya Wildlife Service and Uganda Wildlife Authority. 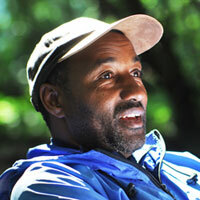 He also conducts Wilderness First Aid Training for wilderness guides and park rangers in the East Africa region. 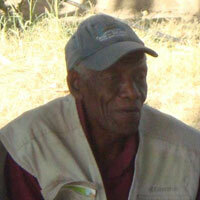 Formerly, he was a Biology and Geography high school teacher and WCK Patron at Kisanana High School in the early 80s. 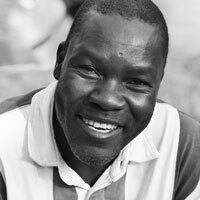 Muchane Peter Gichuru is a field instructor at JPBF. He conducts consultancy leadership and wilderness skills training for National Parks staff in Kenya and Tanzania. He also conducts leadership and teambuilding training for the corporate sector in these countries. He is a former senior instructor with NOLS East Africa as well as with Outward Bound in Kenya and South Africa. 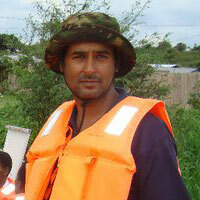 Simon Kamuri is a field instructor at JPBF. He conducts consultancy leadership and wilderness skills training for National Parks staff in Kenya and Tanzania. He also conducts leadership and teambuilding training for the corporate sector in these countries. He is a former senior instructor with NOLS East Africa. Alnavas Amlani is a field instructor at JPBF. He conducts consultancy leadership and wilderness skills training for National Parks staff in Kenya and Tanzania. He also conducts leadership and teambuilding training for the corporate sector in these countries. He is a former senior instructor with NOLS East Africa. Omar Bob is JPBF's Coast Resource Person. He is the former NOLS East Africa Coast Resource Person, a position he held from the 1970s until 2003 when NOLS closed its East Africa operation. He is an honorary Marine Ranger Guide of Malindi Marine Park. He is a competent dhow sailor both in the open sea and the Lamu archipelago and an avid diver/snorkeler with vast knowledge in marine biology. 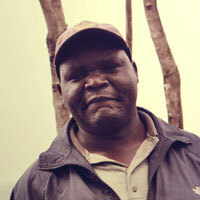 Joseph Ole Marima is one of JPBFs Loita Expedition local Maasai Field Resource Persons. He is a former NOLS East Africa local Maasai Field Resource Person, a position he feld from the 1980s until 2003 when NOLS closed its East Africa operation. He is a local Purkor Maasai resident of Narok County and continues to guide both local and international touristsin the Greater Kenya Maasai land including Loita and Maasai Mara Game Reserve. Robert Ole Rerente is one of JPBFs Loita Expedition local Maasai Field Resource Persons. He is a former NOLS East Africa local Maasai Field Resource Person, a position he feld from the 1980s until 2003 when NOLS closed its East Africa operation. He is a local Loita Maasai resident of Narok County and continues to guide local hiking trips in Loita for both local and international tourists. 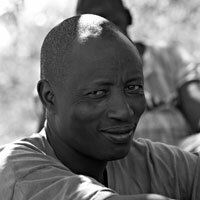 Sammy Olayo is the JPBFs Wilderness Expedition Emergency and Logistic Support Person. 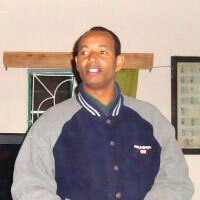 He is a former NOLS East Africa course Emergency and Logistic support person from the 1990s until 2003. He has continued to work for NOLS in the US on contract as a course Emergency and Logistic support person and is a vehicle mechanic.